In honor of the postage changing on Monday (and me being hyper-aware of it because of the wedding invites-thankfully it all worked out with the lovely 'Forever Stamps') and my new interior design degree, I decided to tell you about some exciting (well for people into furniture like me) stamps! 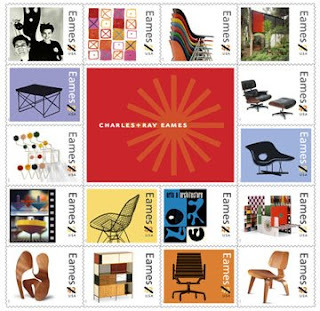 Charles and Ray Eames Stamps In recognition of their groundbreaking contributions to architecture, furniture design, manufacturing and photographic arts, designers Charles and Ray Eames will be honored next summer with a pane of 16 stamps designed by Derry Noyes of Washington, DC. If you’ve ever sat in a stackable molded chair, you’ve experienced their creativity. 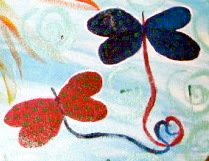 Perhaps best known for their furniture, the Eameses were husband and wife as well as design partners. Their extraordinary body of creative work — which reflected the nation’s youthful and inventive outlook after World War II — also included architecture, films and exhibits. Without abandoning tradition, Charles and Ray Eames used new materials and technology to create high-quality products that addressed everyday problems and made modern design available to the American public. Pretty snazzy. 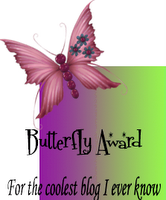 Enjoy and yes, you can call me a dork about now! Today, I am grateful to a day of driving around looking for a place to live, seeing some promising sights and a dinner with my new family....and oh yeah, Grey's tonight and wonderful family, friends and God! !